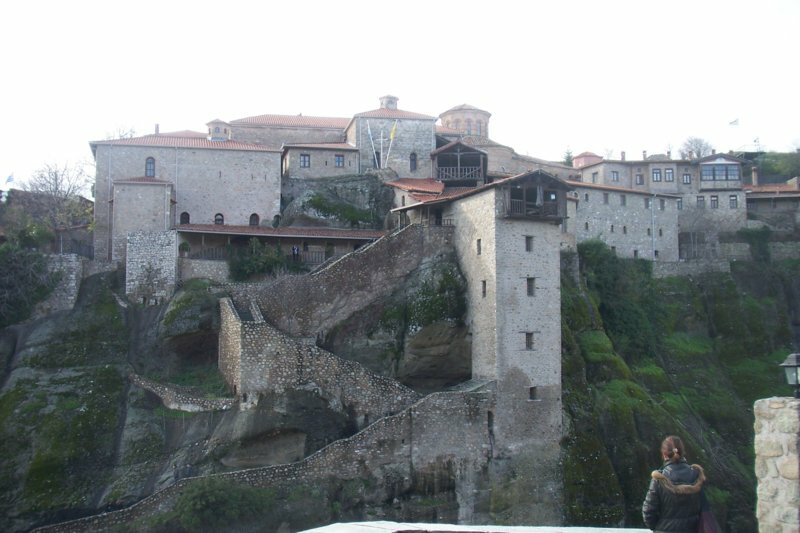 Pictures taken on Saturday, 27th November 2010. 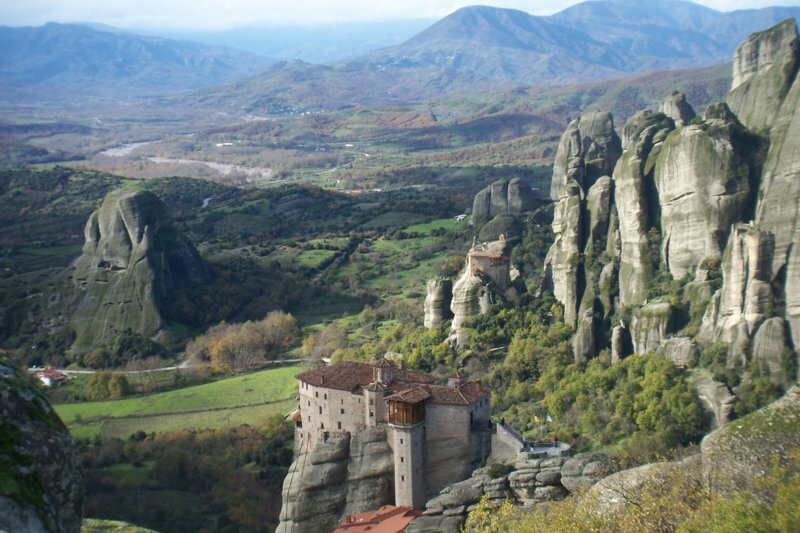 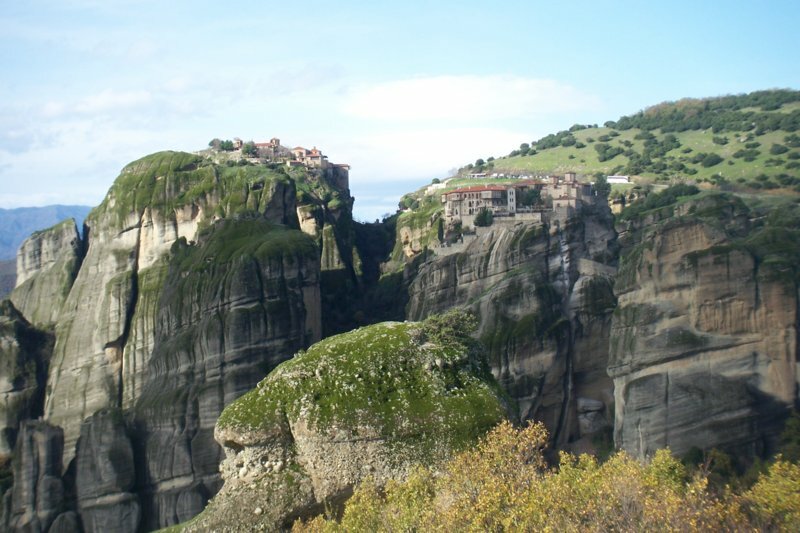 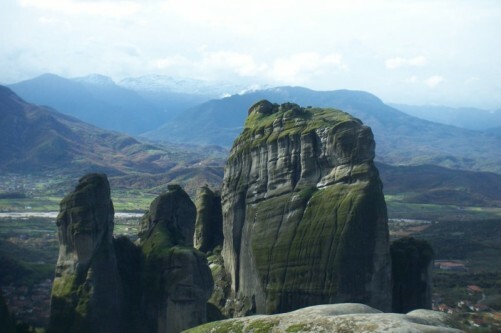 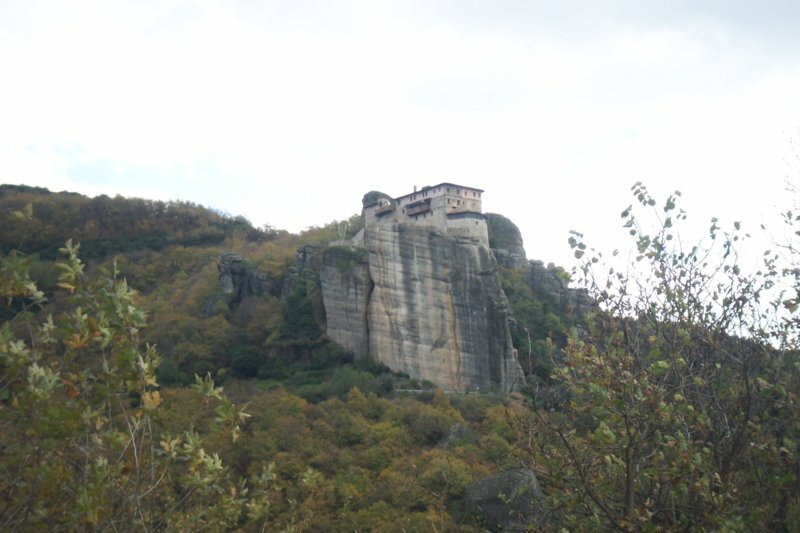 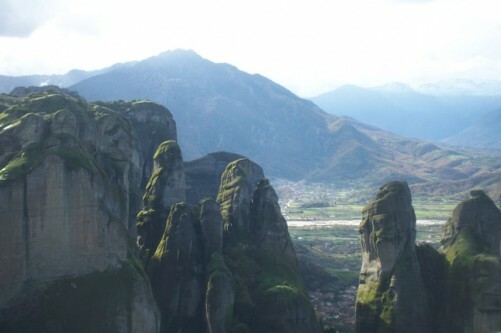 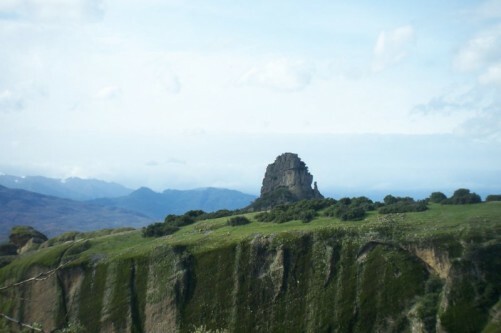 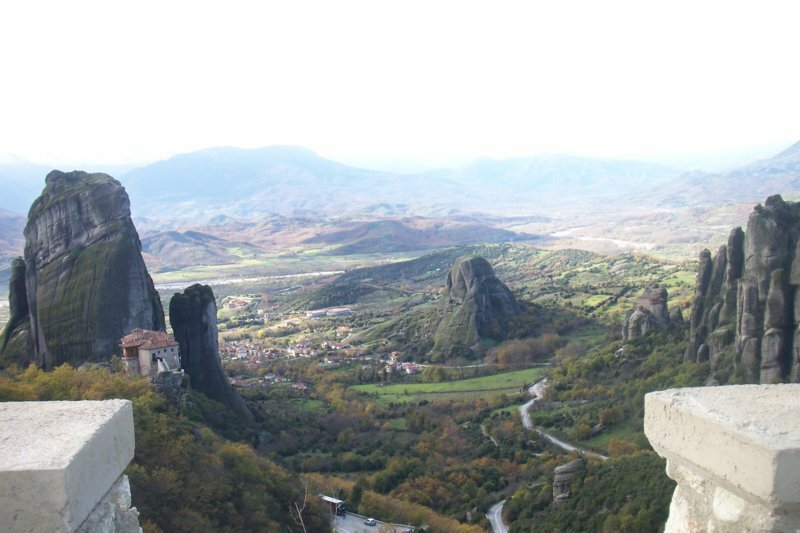 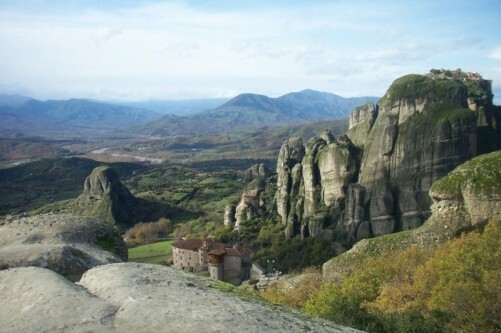 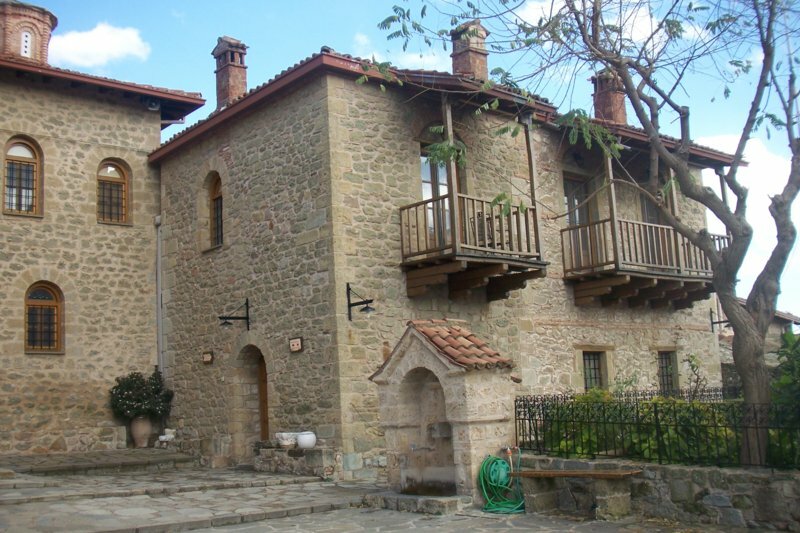 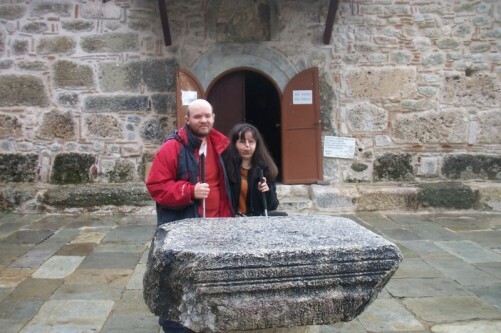 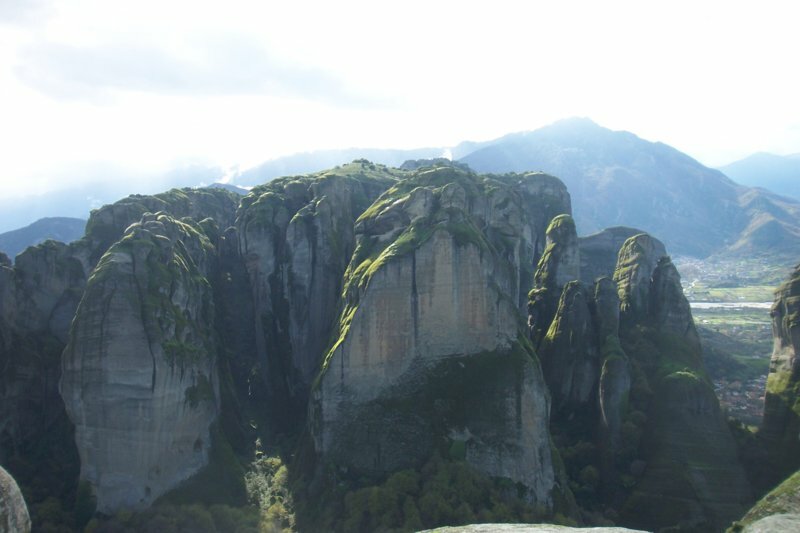 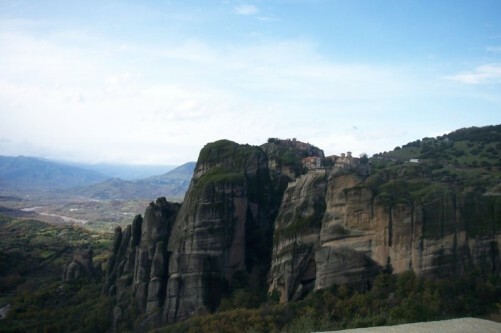 They were taken in and around the Metéora rock monasteries and at nearby Kalampaka village, central Greece. Guesthouse balcony, Kalampaka village. 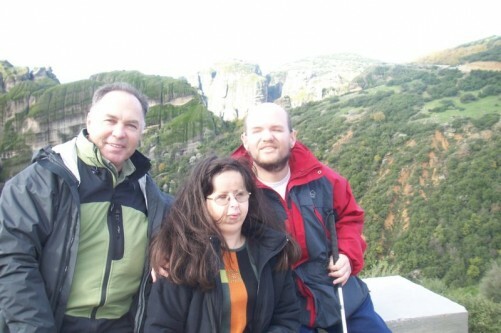 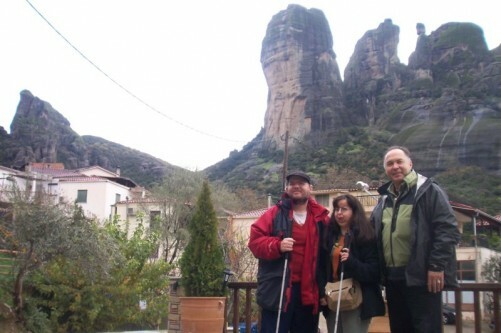 Tony, Tatiana and Chris, local guide. 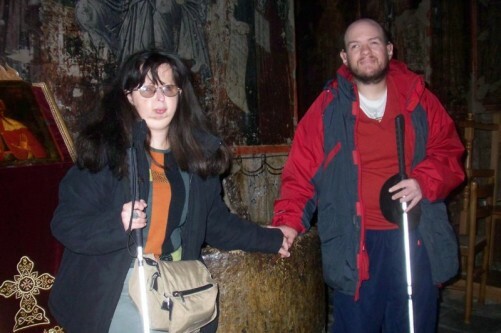 Tatiana and Tony inside the church of the Assumption of Virgin Mary, Kalampaka village. The church was built in the 11th century on the ruins of an old Christian basilica. 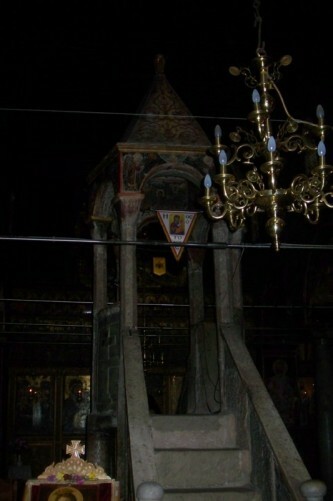 Pulpit inside church of the Assumption of Virgin Mary. 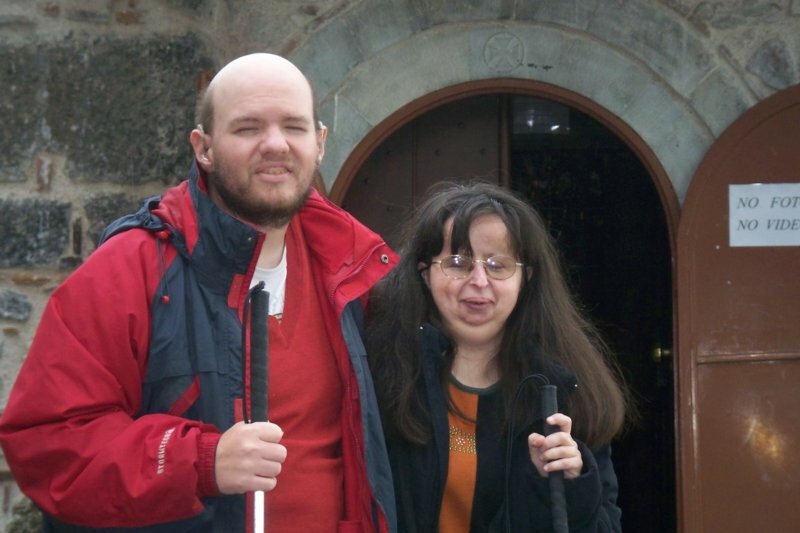 Tony and Tatiana outside the church. Tony and Tatiana in front of a fountain in Kalampaka village square. 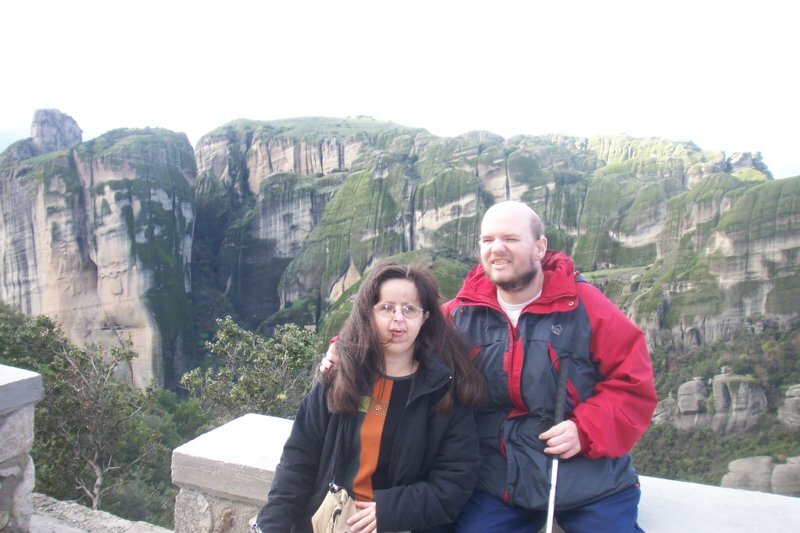 Tony and Tatiana. Behind them is the Holy Monastery of Great Meteoron. This is the largest of the monasteries located at Metéora. 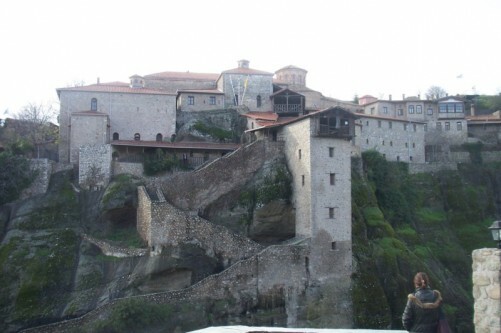 It was erected in the mid-14th century AD and was the subject of restoration and embellishment projects in 1483 and 1552. The building serves as the main museum for tourists. 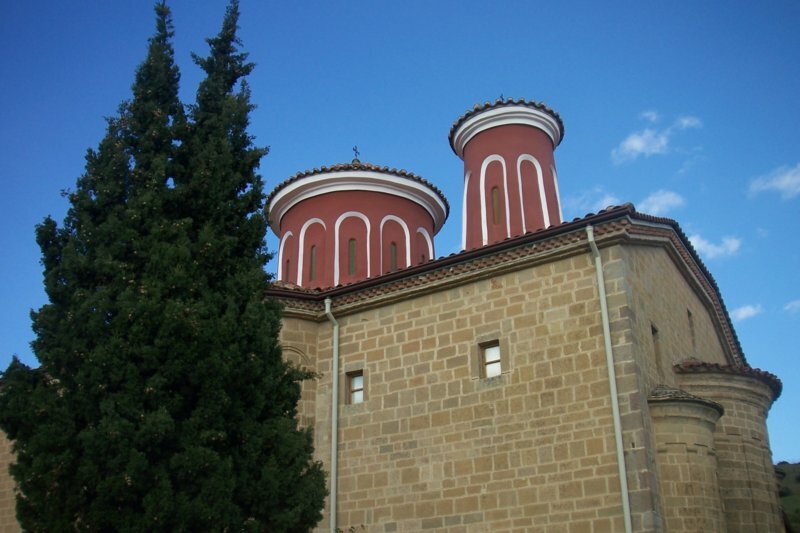 The main church was erected in the middle of 14th century and decorated in 1483 and 1552. 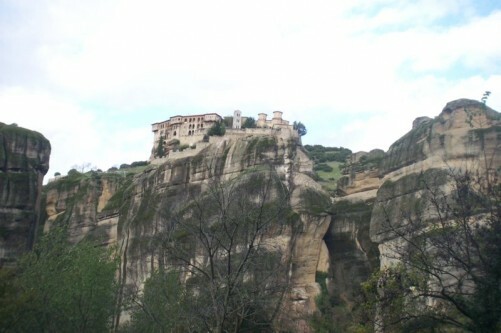 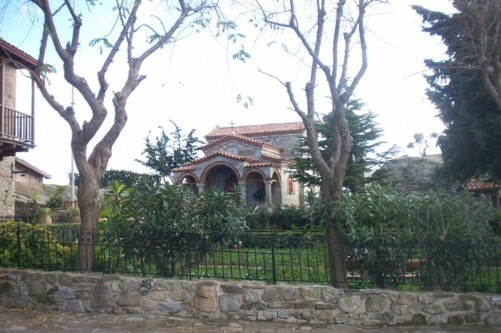 View of Holy Monastery of Great Meteoron. 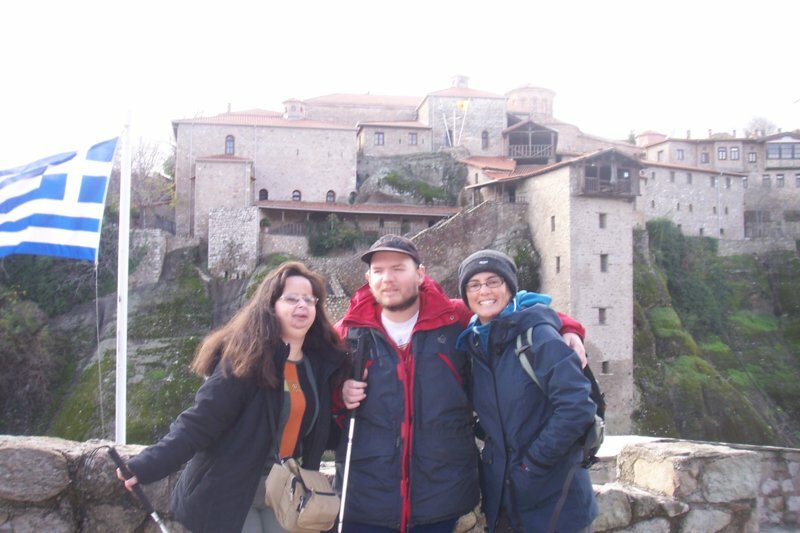 Tony, Tatiana, unknown lady. 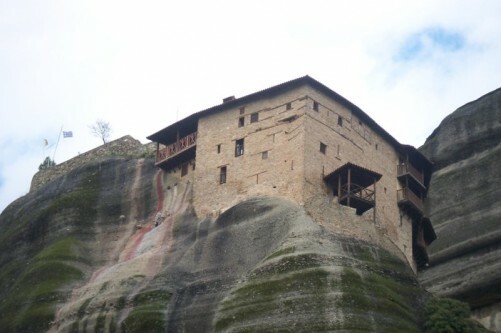 Holy Monastery of Great Meteoron. 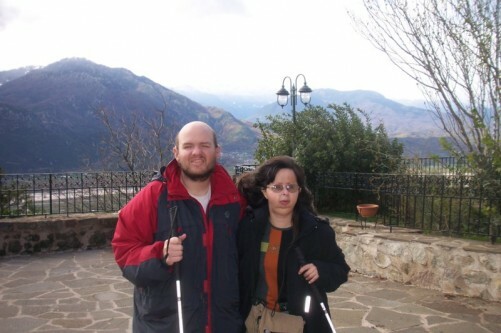 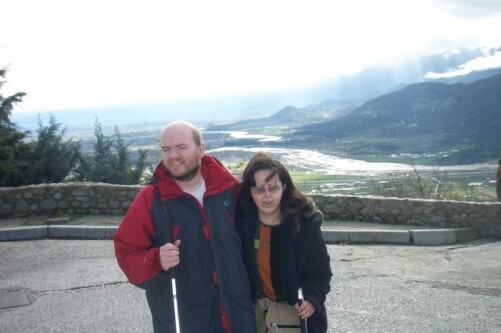 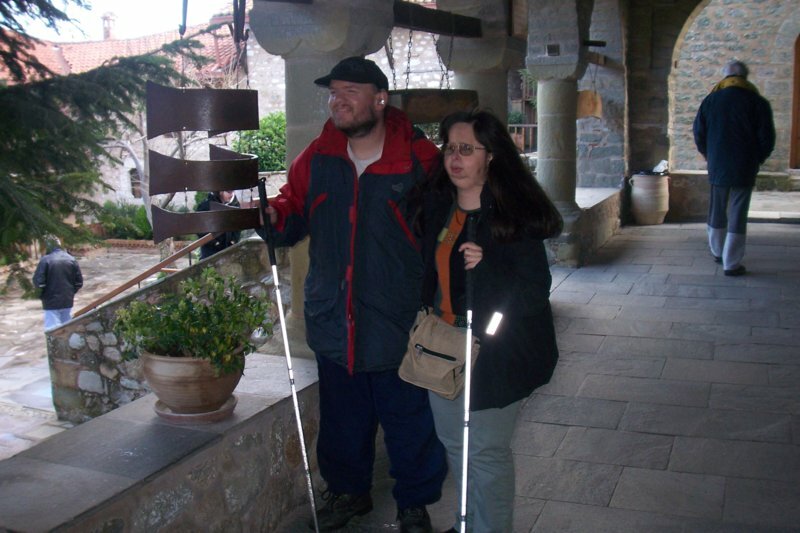 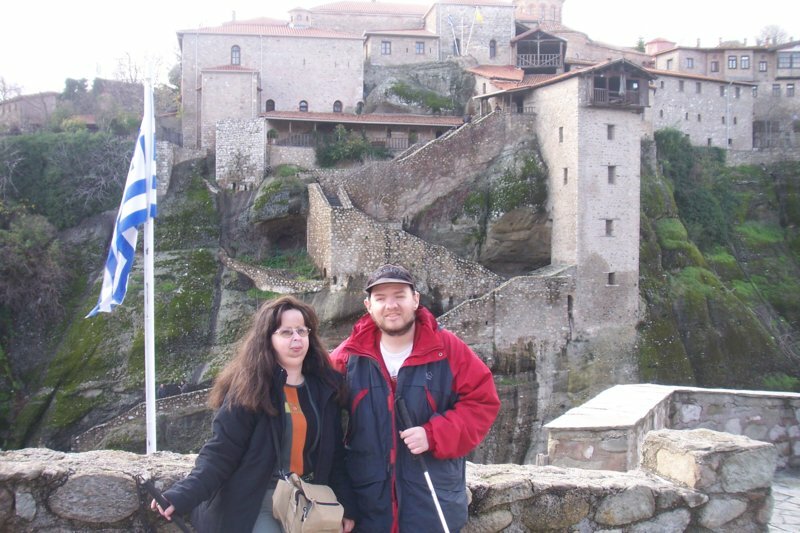 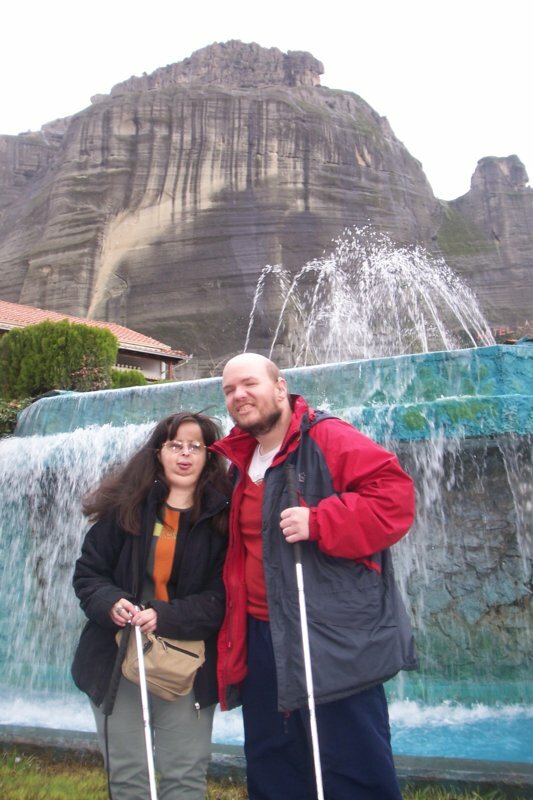 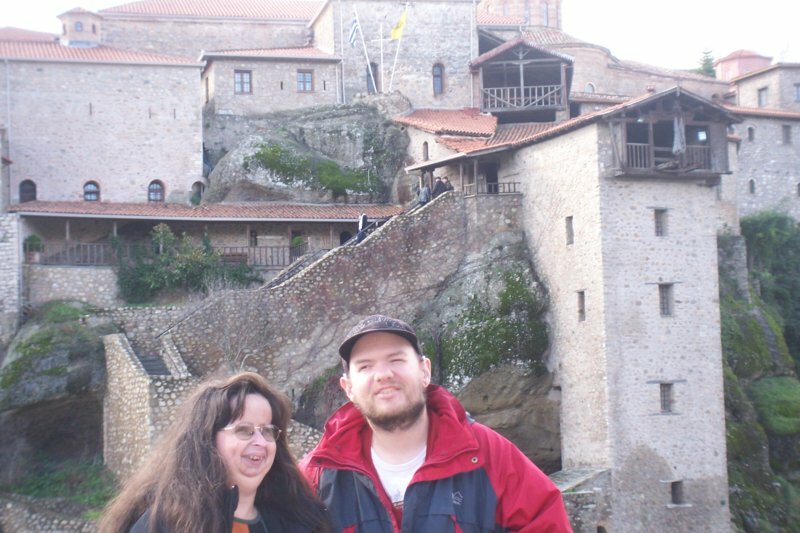 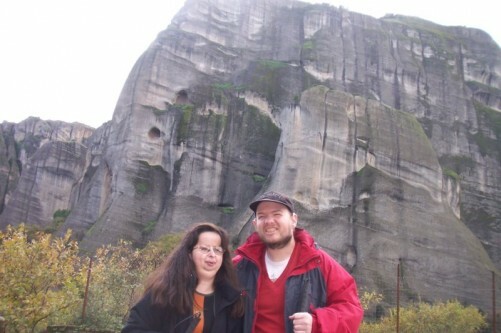 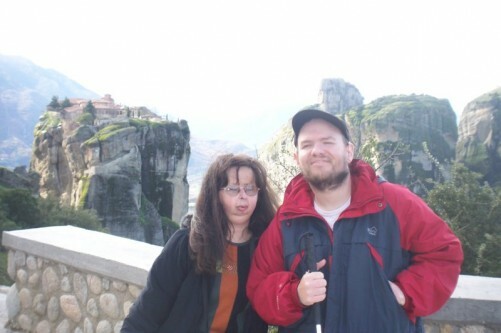 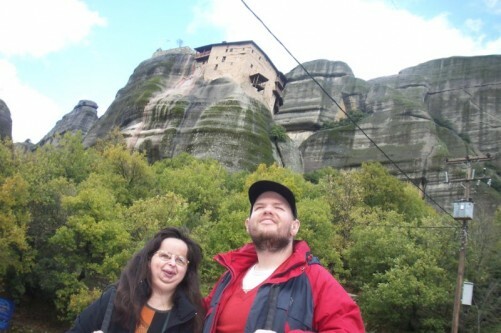 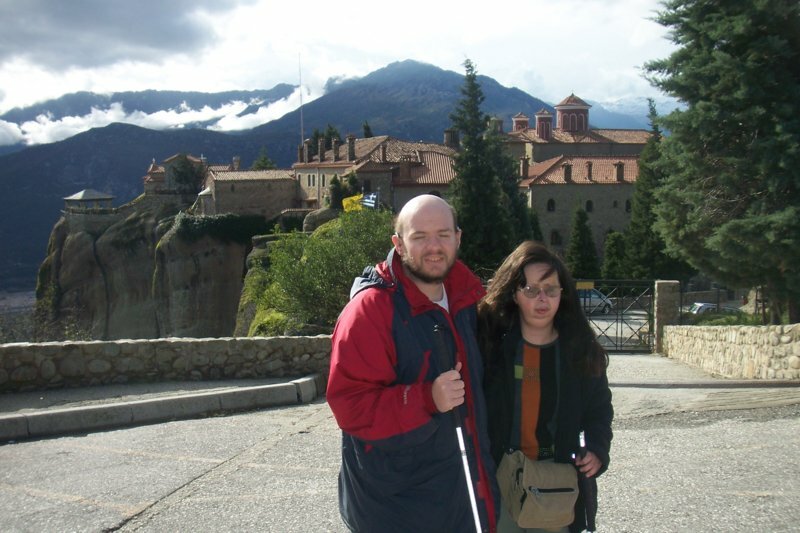 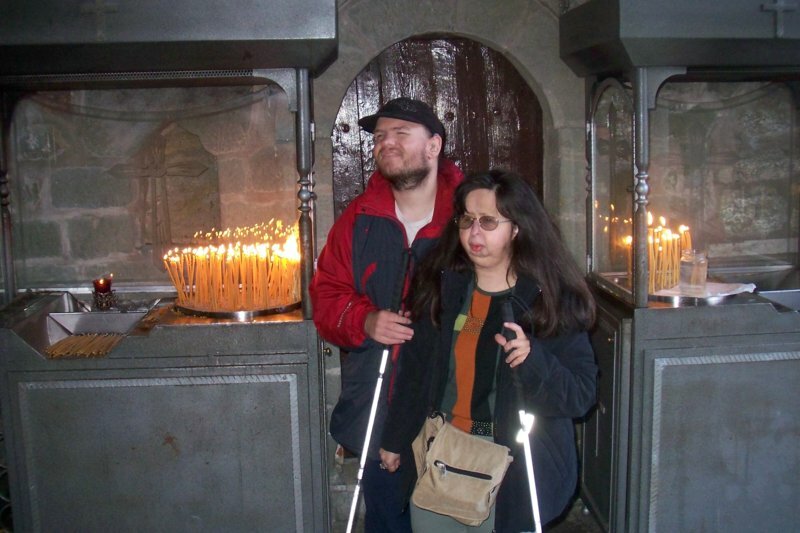 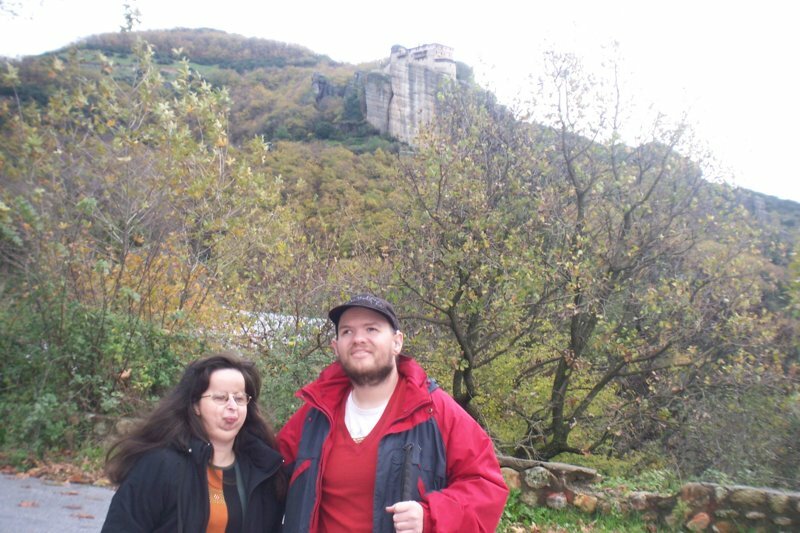 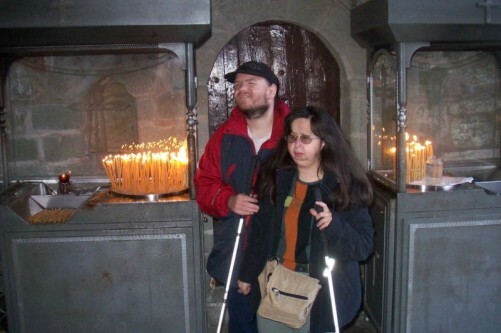 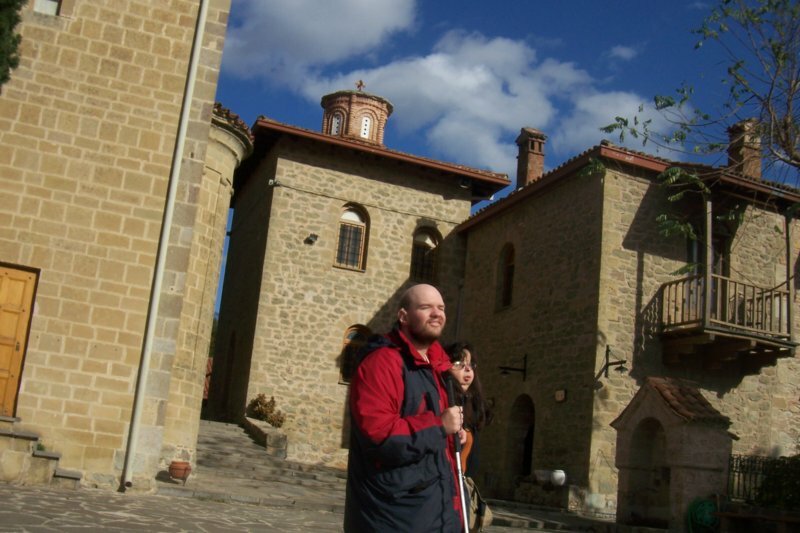 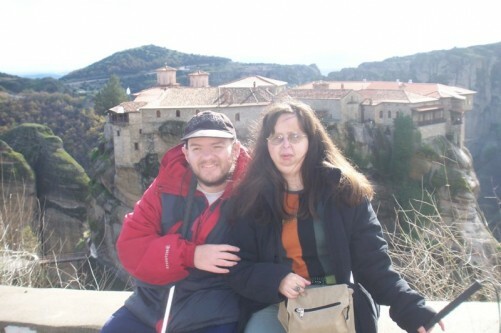 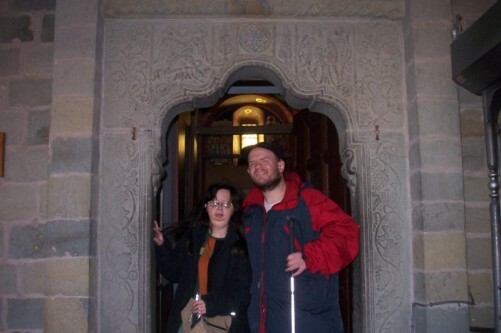 Tony and Tatiana with a view of the Holy Monastery of Varlaam.